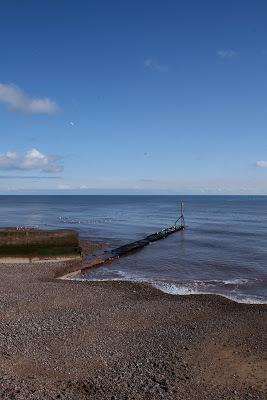 Another gorgeous day dawned, the sun was beginning to peek through the clouds, snow was attempting to fall and I set off to teach at The Bead Lagoon in Sidmouth. 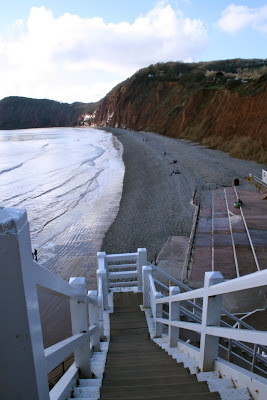 The journey there was just beautiful..... and as I dropped into Sidmouth the sun was glinting off the sea, calling me to walk and enjoy, but first I had a lesson to teach. 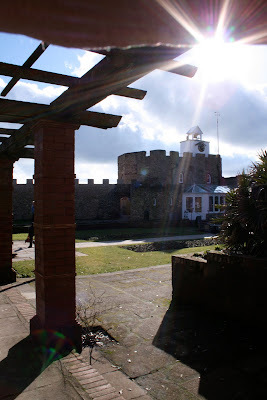 I have spent many a happy hour here in the past and the memories came flooding back... It was good to remember! Phew!!! I made it to the top! What a shame you couldn't join me for a cuppa here... you were missed! 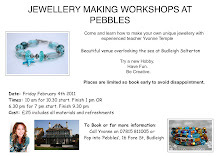 Speaking of Pebbles, I will be running a jewellery making workshop there, morning and evening, on March 23rd. If you would like to come and have a play with beads and wire I would love to see you.... why not treat yourself to a stay there as well???? Email me for details. 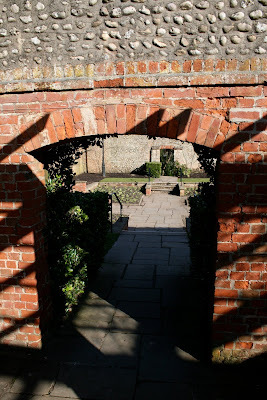 I hope you've had as lovely a day as I've had. Wishing you and yours a very happy weekend. 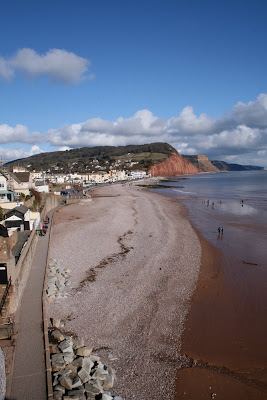 For four years I lived in Sidmouth. So these pictures have just bought back many memories for me. Such wide open space and all those views. A lovely, lovely walk and your right - I wish I was there too.